A premium 100% acrylic solid-bodied stain and finish for exterior use. 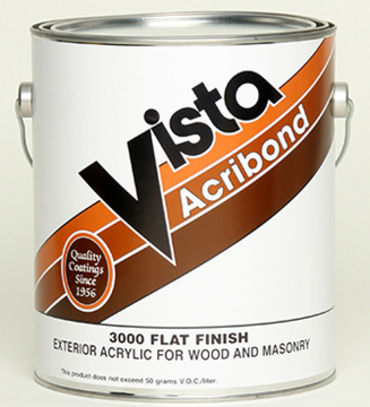 Acribond is for use on all wood, masonry and previously painted surfaces. Acribond provides a durable matte flat finish with excellent color retention and mildew resistance. Recommended Uses: New and previously painted wood. Properly primed concrete, stucco, masonry and metal.